Tonight at 6:30, the Central Arkansas Library System Butler Center for Arkansas Studies will host the annual “A Prized Evening.” The 2013 Booker Worthen Prize will be presented to Mark Christ and the 2013 Porter Fund prize will be given to Pat Carr. As one of the most fertile regions in the South, the Arkansas River Valley was highly contested territory during the Civil War. While the Siege on Vicksburg raged, equally important battles were fought here in Arkansas. This struggle is the topic of Mark Christ’s nonfiction work, Civil War Arkansas 1863, which has been selected to receive the 2013 Booker Worthen Literary Prize, awarded by the Central Arkansas Library System (CALS). Christ, community outreach director for the Arkansas Historic Preservation Program, has edited a number of books and articles about Civil War events in Arkansas. 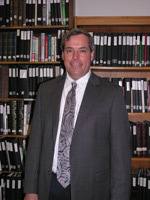 He is a member of the Arkansas Civil War Sesquicentennial Commission, serves as chairman of the board of directors of the Arkansas Humanities Council, and is a member of the board of trustees of the Arkansas Historical Association. Christ recently received the 2013 State Preservation Leadership Award from the Civil War Trust, the largest nonprofit battlefield preservation organization in the United States. The Worthen Prize is awarded each year to an author living in the CALS’s service area whose work is highly regarded. It is named for Booker Worthen, who served twenty-two years on CALS’s board of trustees. She has a B.A. (Phi Beta Kappa) and an M.A. from Rice, a Ph.D. from Tulane, and she’s taught literature and writing in colleges all across the South. She’s published sixteen books, including the Iowa Fiction Prize winner, The Women in the Mirror, and the PEN Book Award finalist, If We Must Die, and she’s had over a hundred short stories appear in such places as The Southern Review, Yale Review, and Best American Short Stories. Her latest short story collection, The Death of a Confederate Colonel, a nominee for the Faulkner Award, won the PEN Southwest Fiction Award, the John Estes Cooke Fiction Award, and was voted one of the top ten books from university presses for 2007 by Foreword Magazine. Carr has won numerous other awards, including a Library of Congress Marc IV, an NEH, the Texas Institute of Letters Short Story Award, an Al Smith Literary Fellowship, and a Fondation Ledig-Rowohlt Writing Fellowship in Lausanne, Switzerland. 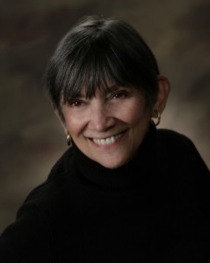 A writing text, Writing Fiction with Pat Carr appeared from High Hill Press in June, 2010, and her autobiography, One Page at a Time: On a Writing Life was published by Texas Tech University Press in December, 2010. Pat Carr’s new novella, The Radiance of Fossils, came out in July 2012 with Main Street Rag Press. Her latest published work, Lincoln, Booth, and Me: A Graphic Novel of the Assassination by Horatio, the Cat as told by Par Carr was published in May 2013 by El Amarna Publishing. Past honorees of the Booker Worthen prize are: 2012-The Thousand-Year Flood: The Ohio-Mississippi Disaster of 1937, David Welky; 2011-The Broken Vase, Phillip H. McMath and Emily Matson Lewis; 2010-Ruled by Race: Black/White Relations in Arkansas from Slavery to the Present, Grif Stockley; 2009-The Mysterious Benedict Society and the Perilous Journey, Trenton Lee Stewart; 2008-Turn away Thy Son: Little Rock, the Crisis that Shocked the Nation, Elizabeth Jacoway; 2007-A Brief History of the Dead, Kevin Brockmeier; 2006-Promises Kept, Sidney S. McMath (posthumous); 2005-Communities of Kinship: Antebellum Families and the Settlement of the Cotton Frontier, Carolyn Earle Billingsley; 2004-The Truth about Celia, Kevin Brockmeier; 2003-Devil’s Knot: The True Story of the West Memphis Three, Mara Leveritt; 2002-Blood in Their Eyes: The Elaine Race Massacres of 1919, Grif Stockley; 2000-The Boys on the Tracks, Mara Leveritt; 2001-The Rumble of a Distant Drum: The Quapaws and Old World Newcomers, 1673–1804., Morris S. Arnold; 1999-Arkansas, 1800–1860: Remote and Restless, S. Charles Bolton. Previous recipients of the Porter Fund prize are: 2012-Margaret Jones Bolsterli (Non-Fiction); 2011-Bill Harrison (Fiction); 2010-Bob Ford (Playwriting); 2009-Roy Reed (Non-Fiction); 2008-Trenton Lee Stewart (Fiction); 2007-Greg Brownderville (Poetry); 2006-Donald “Skip” Hays (Fiction); 2005-Shirley Abbott (Non-Fiction); 2005-Constance Merritt (Poetry); 2004-Michael Burns (Poetry); 2003-Kevin Brockmeier (Fiction); 2002-Ralph Burns (Poetry); 2001-Morris Arnold (Non-Fiction); 2001-Fleda Brown (Poetry); 2000-Jo McDougall (Poetry); 1999-Grif Stockley (Fiction); 1998-Michael Heffernan (Poetry); 1997-Dennis Vannatta (Fiction); 1996-David Jauss (Fiction); 1995-Norman Lavers (Fiction); 1994-Werner Trieschmann (Playwriting); 1993-No Prize was awarded; 1992-Andrea Hollander Budy (Poetry); 1991-Crescent Dragonwagon (Fiction); 1990-James Twiggs (Fiction); 1989-Hope Norman Coulter (Fiction); 1988-Paul Lake (Poetry); 1987-Donald Harington (Fiction); 1986-Buddy Nordan (Fiction); 1985-Leon Stokesbury (Poetry). This entry was posted in Arts & Humanities Month, History, Lecture, Literature and tagged Andrea Hollander Budy, Arkansas Historic Preservation Program, Arkansas Humanities Council, Bill Harrison, Bob Ford, Booker Worthen Prize, Buddy Nordan, Butler Center for Arkansas Studies, Carolyn Earle Billingsley, Central Arkansas Library System, Constance Merritt, Crescent Dragonwagon, David Jauss, David Welky, Dennis Vannatta, Donald "Skip" Hays, Donald Harington, Elizabeth Jacoway, Emily Matson Lewis, Fleda Brown, Greg Brownderville, Grif Stockley, Hope Norman Coulter, James Twiggs, Jo McDougall, Kevin Brockmeier, Leon Stokesbury, Mara Leveritt, Margaret Jones Bolsterli, Mark Christ, Michael Burns, Michael Heffernan, Morris Arnold, Morris S. Arnold, Norman Lavers, Pat Carr, Paul Lake, Phillip H. McMath, Porter Fund Prize, Ralph Burns, Roy Reed, S. Charles Bolton, Shirley Abbott, Sid McMath, Trenton Lee Stewart, Werner Trieschmann by Scott. Bookmark the permalink.